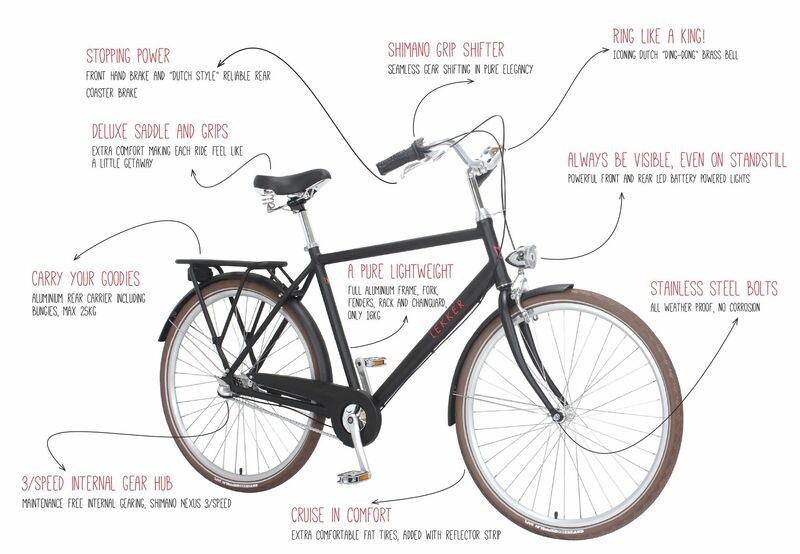 This Mens Retro Bike has a classic design and easy ride. Shop now or test ride today! LEKKER Bikes offers a real gentlemen ride with the LEKKER Jordaan. A modern take on the classic Dutch retro bike. We chose for a fully aluminium frame to create a smooth commute. 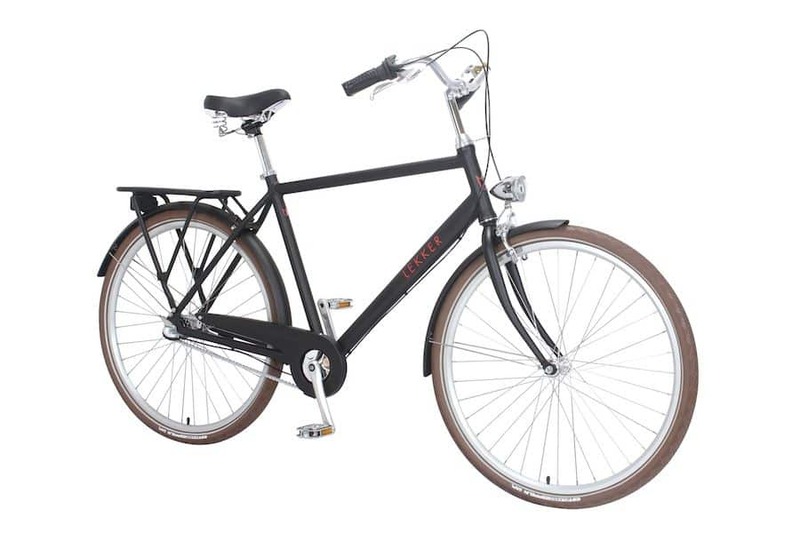 Both frame and parts are 100% aluminium, creating a light weight and durable bicycle for daily use. It’s distinctive upright position makes you enjoy every single ride. 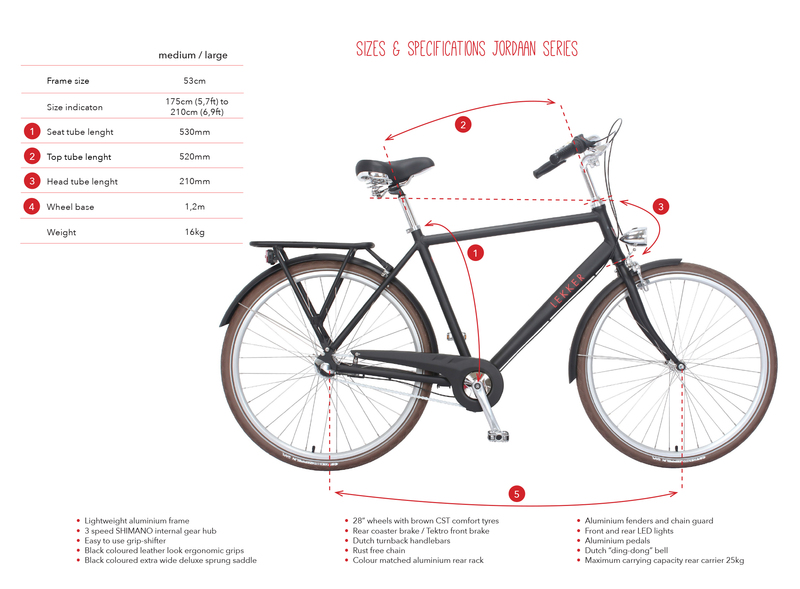 Added with only the best parts available the LEKKER Jordaan comes with the top notch Shimano 3 speed gearing system. 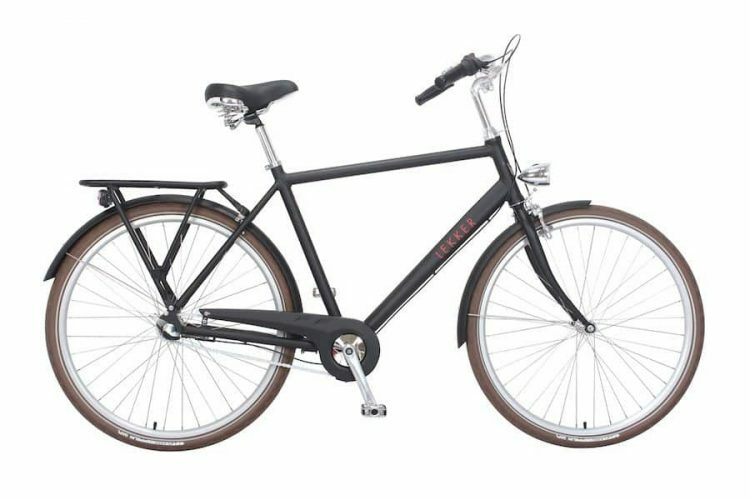 A front hand brake and rear coaster brake offers a durable braking solution with a Dutch touch to it. 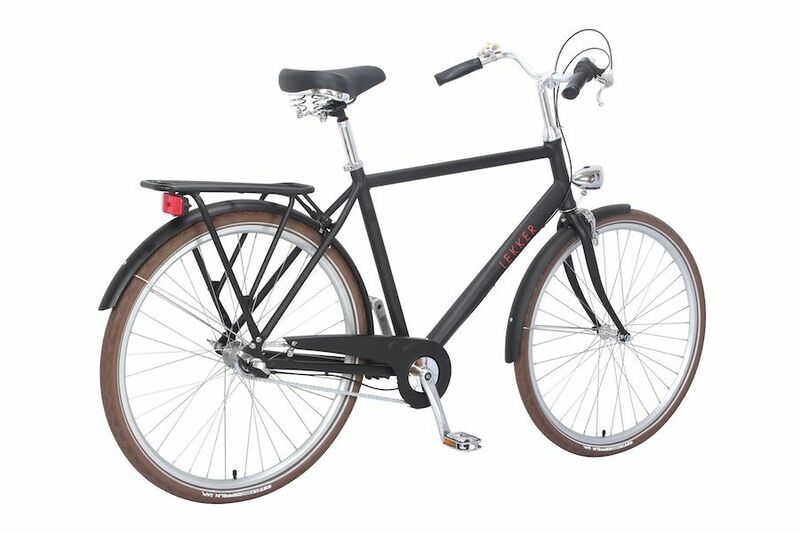 Available in matt black only (as a Dutch bike should be) and equipped with subtle brown tires this is the ultimate in comfortable and stylish commuting.